Uno and I are at TV! 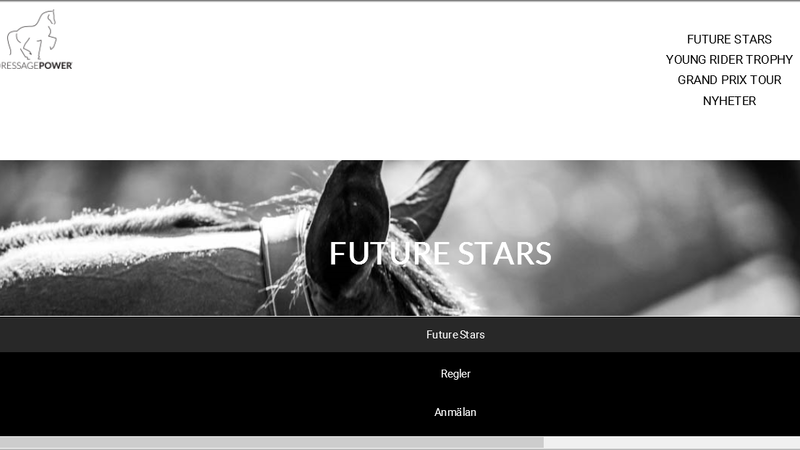 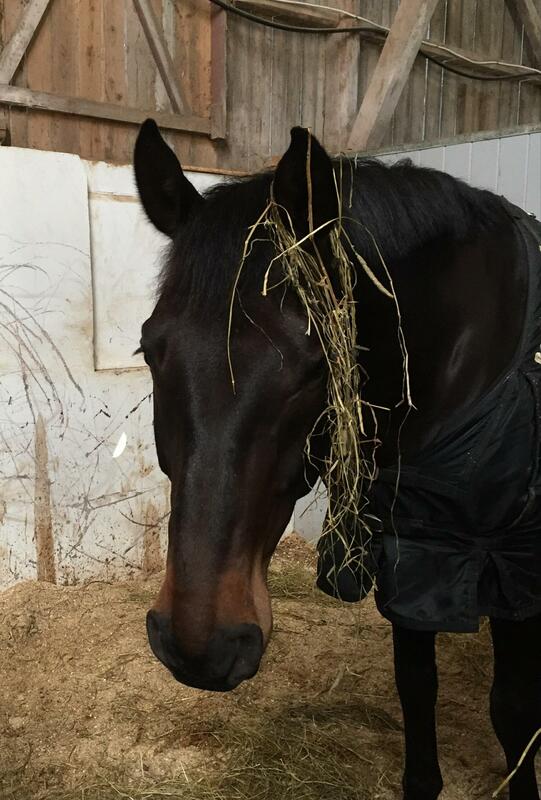 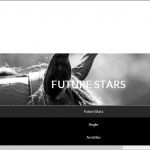 Sweet Uno is now ready for Prix St Georges and entered to Dressagepower Future stars! 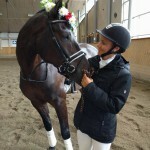 Qualified for Prix St George! 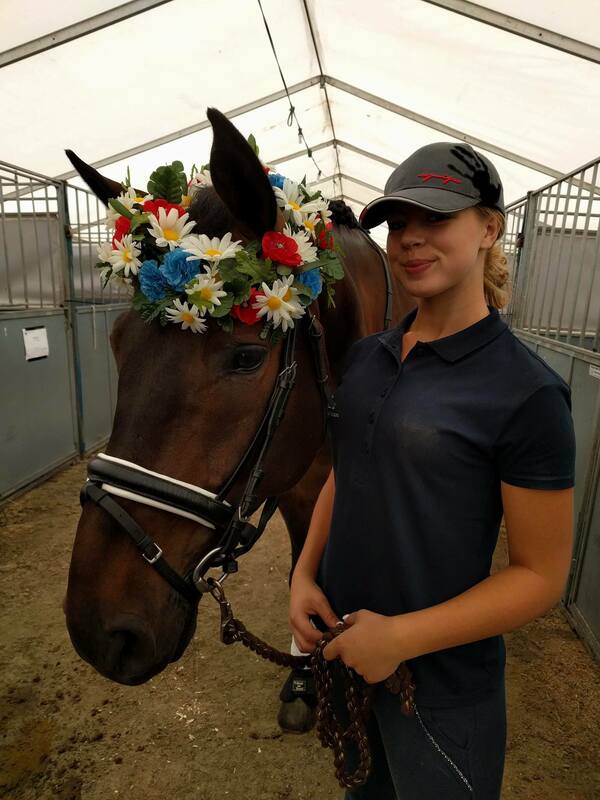 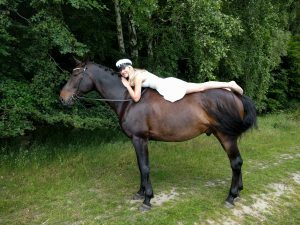 Thanks Tilda for beeing the best groom ever at The World University Equestrian Championship 2016. 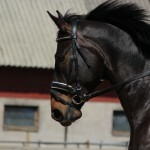 “Uno” did a great job with riders from Holland, Denmark and Poland. 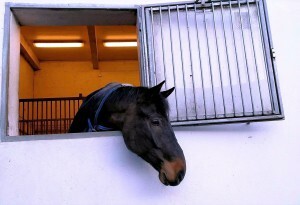 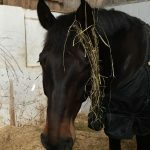 He was also the cutes horse ever with his flowers! 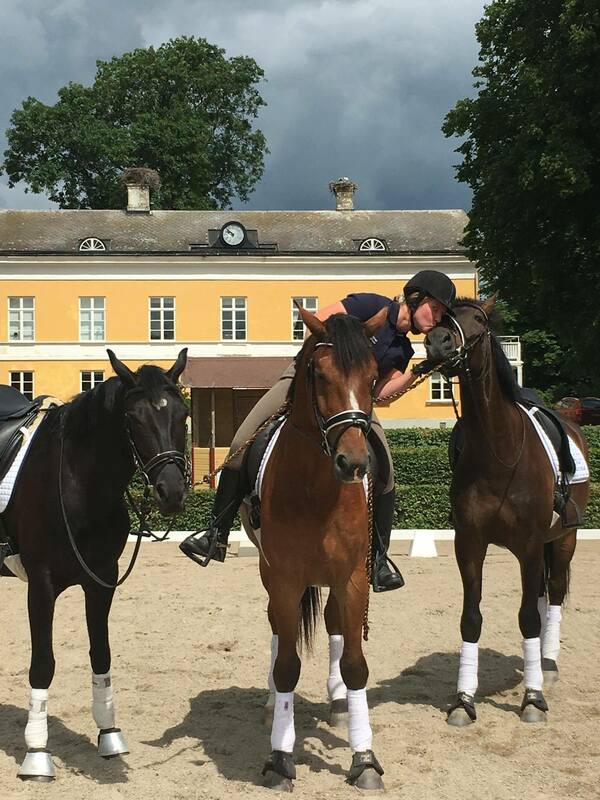 Today we spent all day at Flyinge doing the vet check and warm up for the WUEC16! 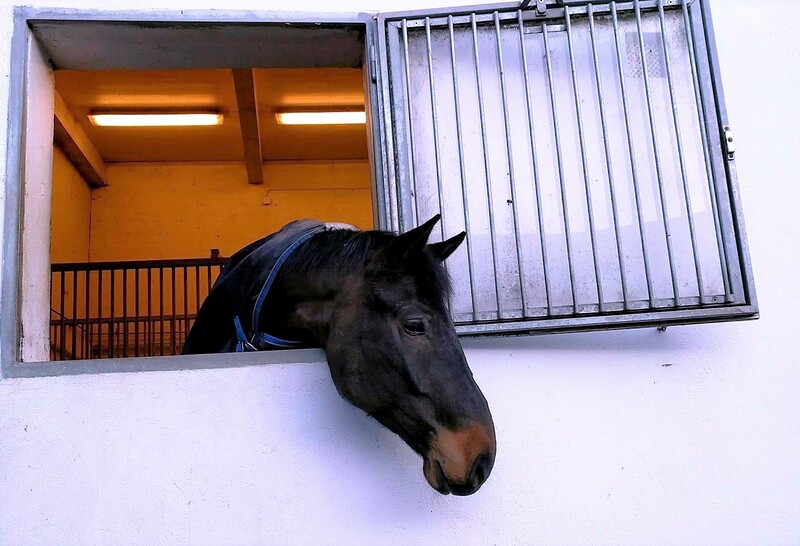 “Uno” (to the right) is together with my other two horses, Langs Leuchstern and Bandido, going to compete with riders from 18 nations for the rest of the week. 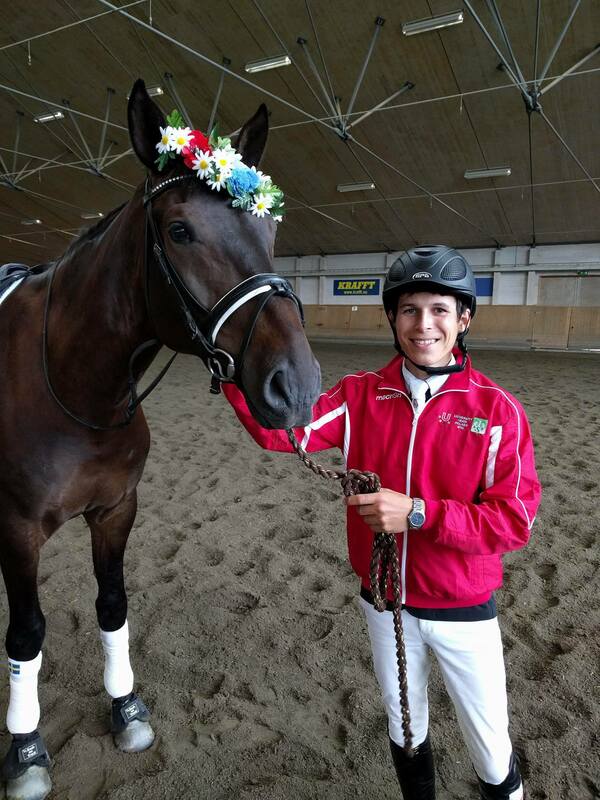 He did a great job today – tomorrow there are 3 lucky riders who compete with him. 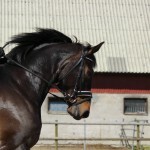 I am sure he will do his very best for all of them! We became qualified for MsvB in great sunshine at the competitions in Björbäck 21st and 22nd of May 2016. 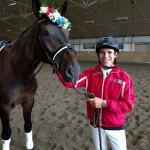 Now we are very happy and working hard to reach the next goal. 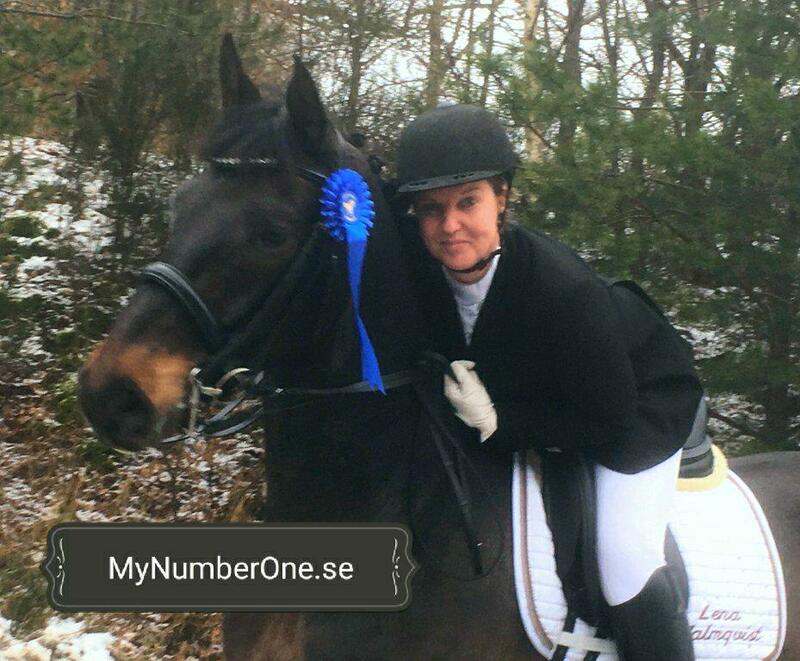 It was my first competition with “Uno”. 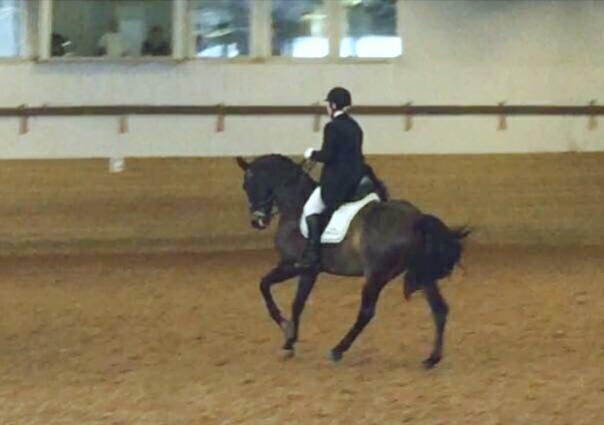 He did his very best both days and I am so proud of him. 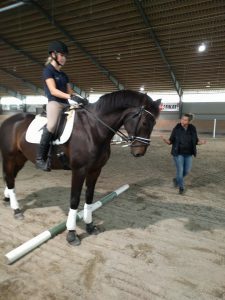 Uno is now working good as a grown up dressage horse. 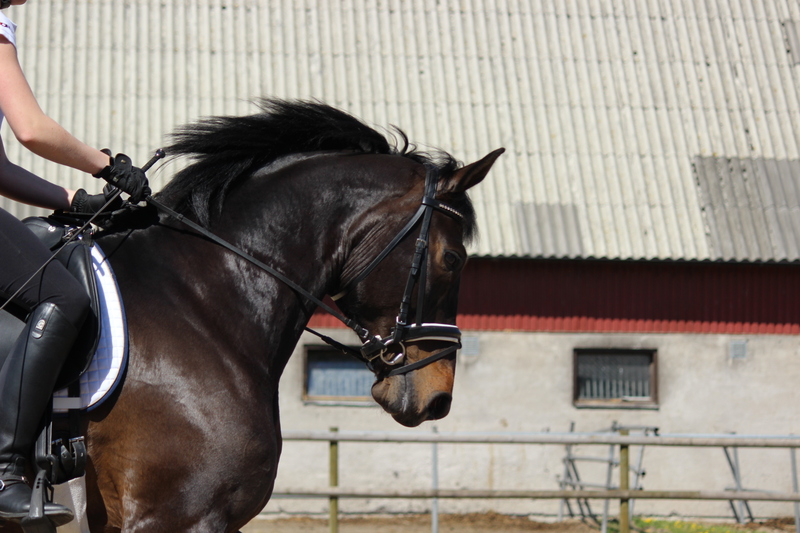 He is amazing to ride and a quick learner! 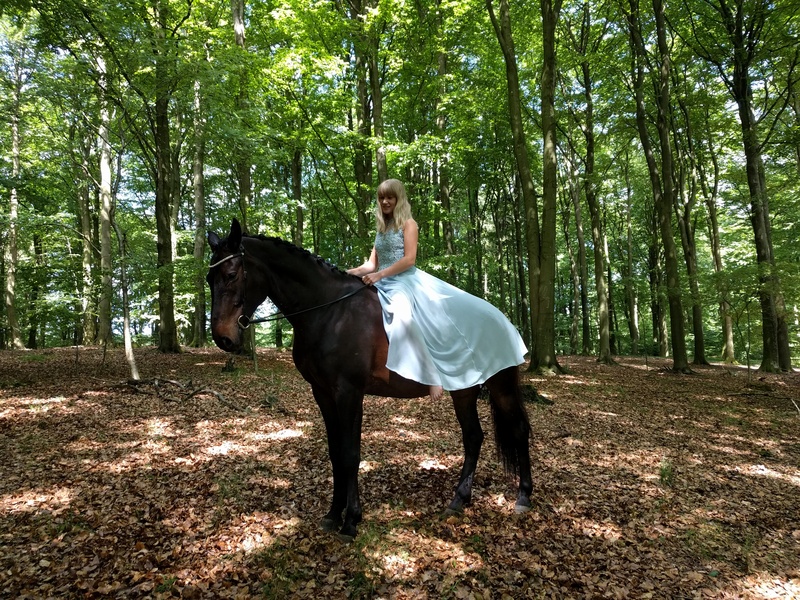 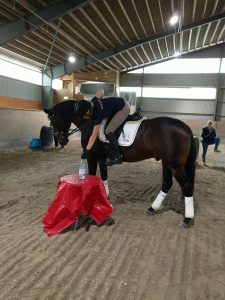 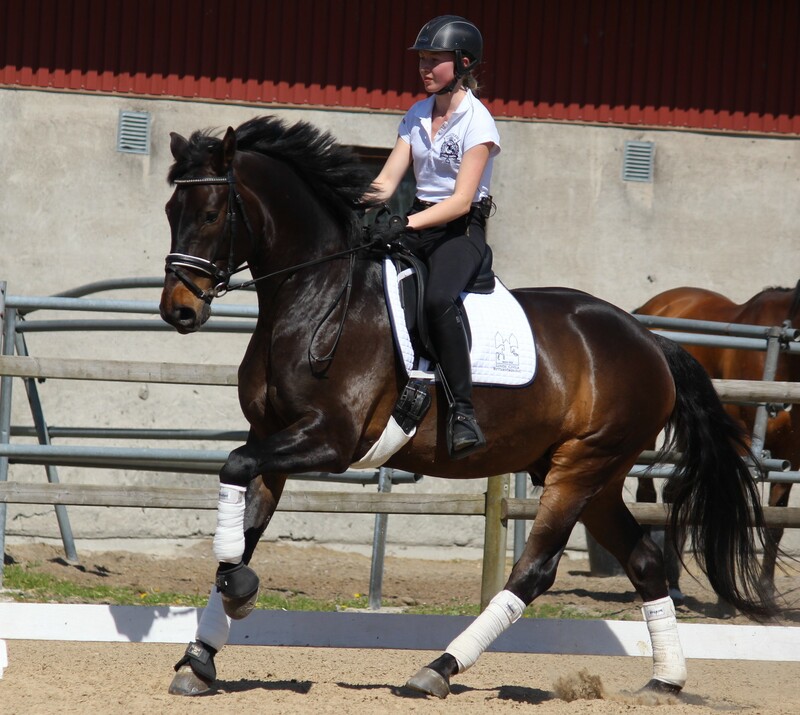 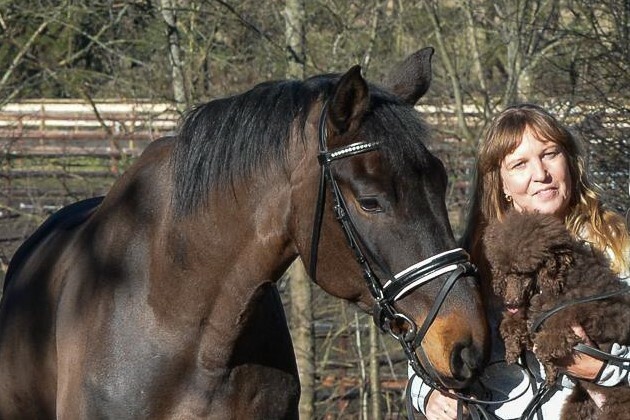 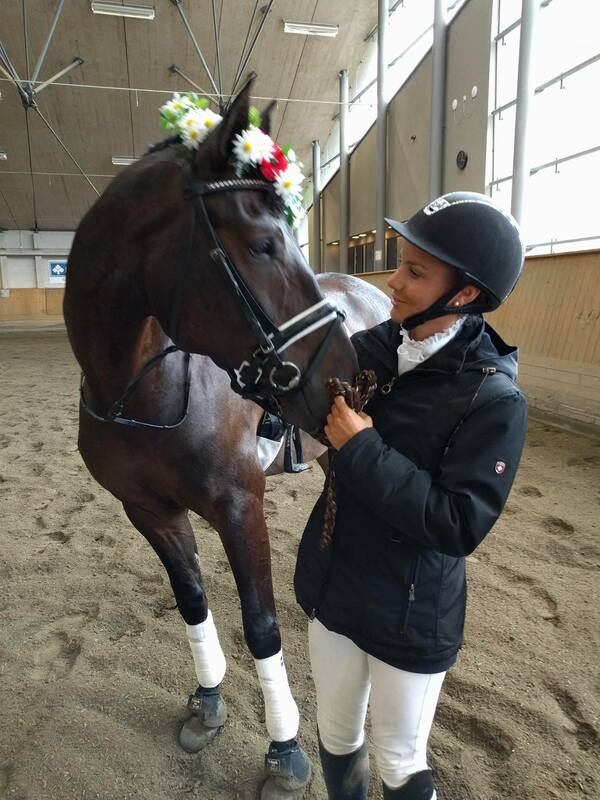 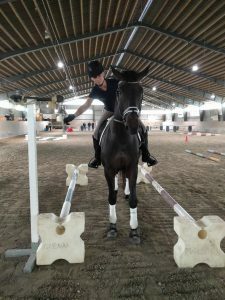 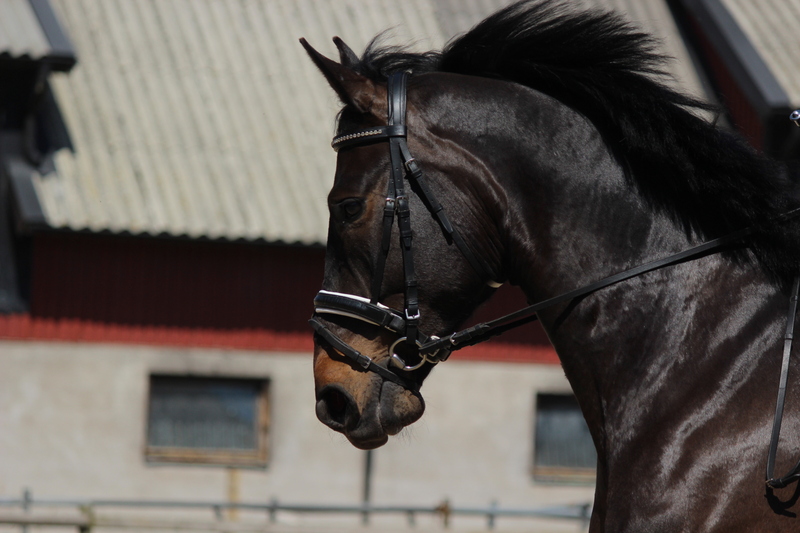 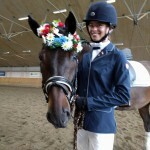 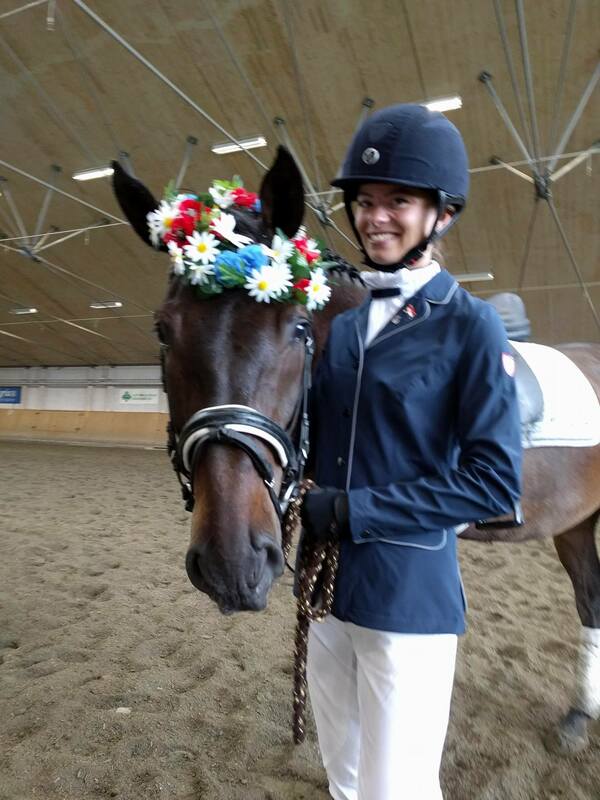 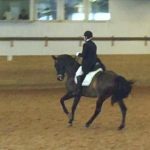 Here are some photoes from my training weekend in Lund when Stina did a great job with him. 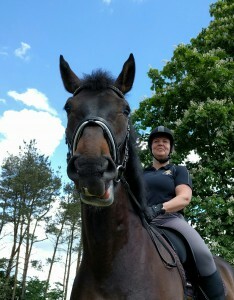 He has had two great weeks of holiday and is back stronger and more willing than ever. 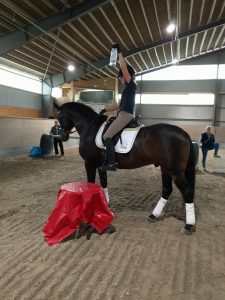 It is so great to have such an amazing horse to work with! 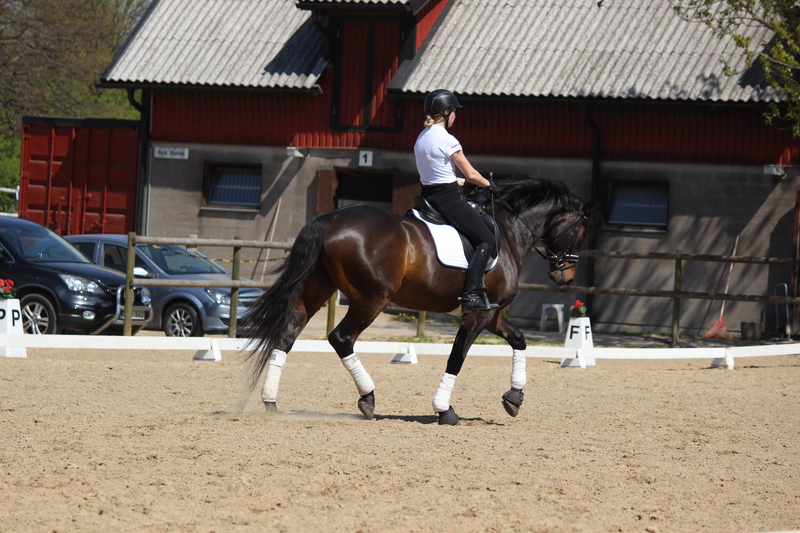 Now we are training hard to prepair for competitions this comming season!